If that doesn't work, just file a dispute from your listing page. 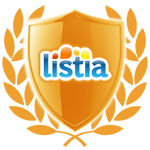 Which methods of paying for shipping protect my Ink under Listia Assurance? If the auction seller claims they did not receive payment, but you are able to show proof that the funds were transferred, then you will be eligible for a full Ink refund. The remaining payment method that is allowed by Listia, but not protected under Listia Assurance, is concealed cash. Sending cash in the mail is essentially untraceable, and using this method does not guarantee that you will be eligible for a full Ink refund should your seller claim that shipping payment was not received.